“Grant them, Lord, to come to know better each day the spirit of our Opus Dei, to which you have called us for your service and our sanctification. Instill in their hearts a great love for our Work, and an ever-growing appreciation of the beauty of our vocation, so that they may feel a holy pride in your having deigned to choose us, and learn to thank you for the honor you have bestowed upon them. The tactics were the same as those that had already been used in Spain. Despite the definitive approval from the Holy See, the detractors went back to work, sowing confusion and anxiety among the families of members of Opus Dei in Italy. Monsignor Escriva went out of his way to maintain close, cordial relations with the families of students who frequented the Pensionato. He wanted their parents to feel part of Opus Dei’s family. Busy as he was, he passed on news about their children, and asked for their collaboration and prayers, hoping they would experience the Work as theirs—as in fact it was. I received your kind letter, and sincerely thank you for what you tell me, especially about your prayers, which are, without a doubt, the best gift that you and your husband could make to Opus Dei and its members. I am truly happy with the vocation of your son Mario, and I thank God for it—he always works with the joy and enthusiasm of one who is serving the Lord. When I see your son, I can’t help but think of his parents’ goodness. He owes his vocation, in part, to you. Please continue to pray to the Lord for Opus Dei. "Twenty years later, when I was bishop, I visited Monsignor Montini, now Pope Paul VI, and he affably reminded me of that audience." Things were different with parents who opposed their children’s decision after certain people had fanned their initial unhappiness into full-fledged antagonism. The founder had hoped the decree of approval (Primum Inter) would put a stop to this, but that did not happen. Also in April 1949, Umberto Farri, a young man of twenty-one who was often at Villa Tevere, requested admission to the Work. He went to Milan in 1950 at the founder’s request, and returned to Rome in November of the following year. Meanwhile, his father, Francesco, had come into contact with parents of other university students who had asked for admission to Opus Dei. Everything happened with such speed that, in some homes, the damage done to the previously good relations between parents and children seemed irremediable. Acting on the advice and with the direction of a priest, Father A. Martini, Mr. Francesco Farri addressed a formal petition of protest, dated April 25, 1951, to Pope Pius XII. In all, the fathers of five members signed. 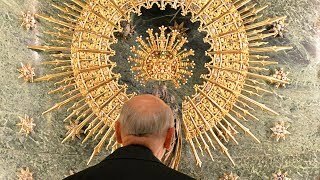 The protest took the form of an outspoken denunciation of Opus Dei’s apostolate, and put pressure on the Pope, who had just granted definitive approval to Opus Dei, asking him to make the weight of his sovereign authority felt against it. The Holy Family’s help was quickly forthcoming. One of the petition’s signers backed out the very same week it went to the Pope, and the rest soon realized how senseless their claim of a “distressing situation” was. From then on they did not try at all to hold their children back, and peace returned to their homes. The complaints to the Holy Father faded away, for lack of evidence to support them. To Monsignor Escriva’s great joy the affection of the families of his children for Opus Dei grew. “He taught his children,” says Bishop del Portillo, “that ‘we owe ninety percent of our vocation to our parents. 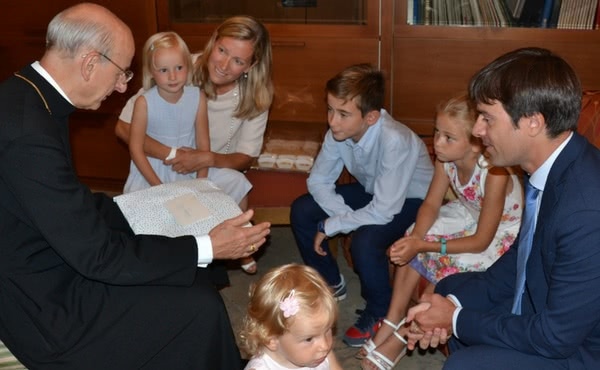 They have, most often, been the ones who planted in our lives the seeds of faith and piety; and always we are indebted to them because they brought us into the world, raised and educated us, and gave us our formation as human beings’” (Alvaro del Portillo, Sum. 1340). See Alejandro Cantero, Sum. 6670; Teresa Acerbis, Sum- 5005; and Fernando Valenciano, Sum. 7146. This was one of those turbulent times that spanned the years of the three consecrations of Opus Dei (1951-1952). In 1971 there was another consecration, to the Holy Spirit; but it was made for a different reason and under different circumstances. Juan Larrea was born in Buenos Aires on August 9, 1927. He joined Opus Dei as a numerary in April 1949, and worked as a lawyer before being ordained to the priesthood on August 5, 1962. On June 15, 1969, he was consecrated bishop, and served as auxiliary bishop of Quito, Ecuador, then as bishop of Ibarra. On March 26, 1988, he was appointed coadjutor archbishop of Guayaquil, Ecuador; and on December 7, 1989, archbishop. See Francesco Angelicchio, Sum. 3499. AGP, P01 1966 (1), p. 27. Letter 24 Dec 1951, no. 260. 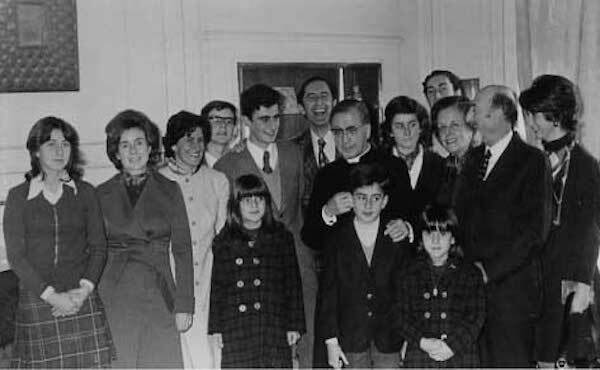 On April 27, 1951, the man wrote to Mr. Farri, “I would appreciate it if you would count me out of all involvement and accept my withdrawal from the collaboration involved in signing of the text referring to our sons and Opus Dei.” See file “Farri,” folder “Umberto”; and AGP, RHF, D-15002.